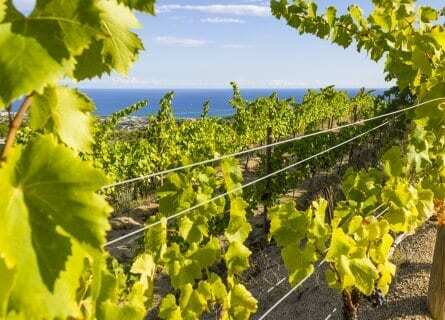 For food and wine lovers as well as culture vultures, Spain is an outstanding country to visit. For design and architecture, Spain is experiencing a Renaissance and an atmosphere of creativity and investment has attracted superstar architects from around the world to build design wineries including Frank Gehry, Norman Foster, Zaha Hadid, Philippe Mazières as well as local celebrity architects like Santiago Calatrava and Rafael Moneo. We have created this gourmet tour with an extra special focus on painting, sculpture, and architecture – a luxury tour for wine lovers who also love art and design. This tour commences in Madrid where you will stay in a chic boutique hotel located in the art triangle (Prado, Thyssen and Reina Sofia museums) facing the lovely Retiro Park and Gardens. You will explore Madrid with your own private art guide who will show you around the Picasso and Salvador Dali collections of the Reina Sofia, and the Velazquez and El Greco galleries of the Prado. A Spanish Wine Masterclass food and wine extravaganza will be organized for your arrival night, taking you on a wine flight of Spain and concluding with gourmet Basque tapas. The prestigious wine regions of Ribera del Duero and Rioja are next and you will taste wines in a 13th century Romanesque Abbey, visit one of Europe’s most beautiful Gothic Cathedrals, and stay in an outrageous ultra modern hotel designed by Frank Gehry in a small medieval hamlet. While in Rioja, one of Spain’s prettiest wine regions, you will take in some excellent wineries and restaurants. The scenery changes dramatically over the next couple days as you travel into Basque Country, with lush hills, pine forests and dramatic coastlines along the Atlantic. You will visit aristocratic San Sebastian with its postcard-perfect, tidy half-moon bay and charming old town. 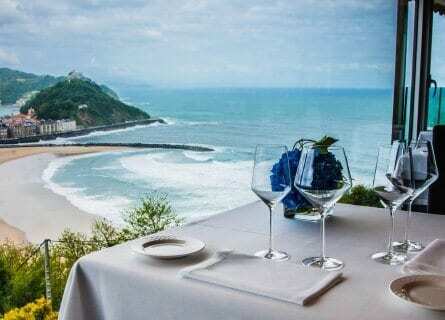 San Sebastian is a gourmet paradise and has more Michelin starred restaurants per inhabitant than Paris. We will organize a gastronomic tasting menu for you at our favorite three Michelin starred eatery Akelarre- expect an amazing lunch overlooking the ocean! Frank Gehry’s tremendous Guggenheim Museum in Bilbao is on the agenda, before flying to bohemian Barcelona. You will enjoy a special private wine tour to the Penedes region sampling some of the best examples of Cava, Spain’s sparkler and private guided art tours in Barcelona’s best contemporary art museums such as the Picasso museum and Joan Miró Foundation. 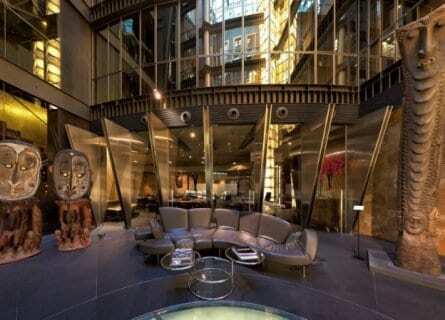 You will stay in the most glamorous designer hotel in Barcelona, right on the elegant Passeig de Gracia and conclude this unforgettable art, wine, and design tour with a farewell lunch at one of famed chef Sergio Arola’s fabulous haunts. Your charming driver guide will be waiting for you in Madrid’s airport arrivals hall, and you will head into downtown Madrid by elegant and comfortable Mercedes. Check into your fashionable hotel located just steps from Madrid’s major art museums and beautiful Retiro Park. In the afternoon, your own private guide will take you on an art tour of Madrid. You will visit the Prado Museum, Spain’s most famous museum, and take in various galleries focusing on the Spanish masters like El Greco, Goya, Zurbarán, and Velazquez. Carry on to the Reina Sofia to see a collection of modern Spanish masters like Picasso (including Guernica), Salvador Dalì, Antoni Tàpies, Juan Gris, Eduardo Chillida, and avant-garde sculptor Pablo Gargallo. 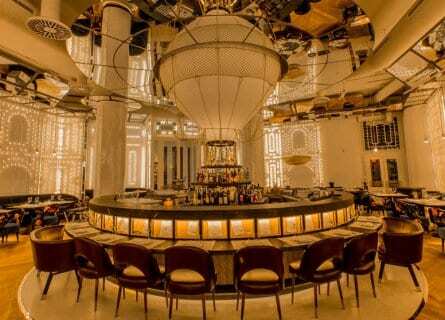 After your art tour, enjoy the evening on your own in Madrid with our suggestions. For dinner, you have a range of authentic Spanish restaurants serving hearty fare at classic such as Casa Lucio, as well as creative eateries offering innovative tasting menus like at our favorite Viridiana. A leisurely start today, catch up on sleep, enjoy a long breakfast and then at 11 a.m. your certified art guide will collect you from your hotel, to visit the Thyssen-Bornemisza, Caixa Forum, and Circulo de Bellas Artes. The Thyssen-Bornemisza Collection is one of the most important private collections of paintings of the 20th century and fascinating to see. Although originally a private collection, today it belongs to the Spanish public after its acquisition by the government in 1993. Even newer on the scene, opening in 2007 the Caixa Forum is as equally fascinating and boasts a range from ancient, modern and contemporary art and hosts music and poetry festivals, not to mention the building itself, previously an electrical station, it was designed and transformed by the Herzog & De Meuron. Your tour will conclude in the equally inspiring Circulo de Bellas Artes, where from the 7th floor you can sip a much-deserved glass of wine with one of Madrid’s best 360º panoramic views. An afternoon on your own follows before allowing time to freshen up and hit La Cabra for a modern and informal Michelin starred dining experience. Chef Javier Aranda creates his masterpieces with seasonal local produce, inspired by Spanish cuisine with an artistic flair. An early start today as you hit the road and head to Ribera wine country. At 8:45 a.m. your chauffeur will collect you from your hotel for just over a two-hour drive to your first winery of the day, Pago de Carraovejas. The gorgeous modern winery boasts some stunning views over the surrounding vineyards and countryside. 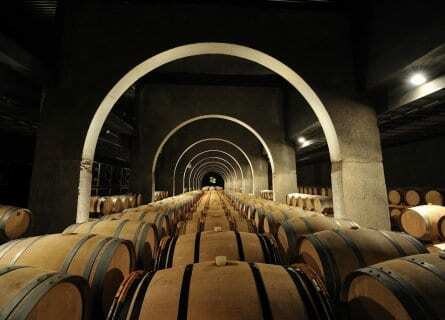 Here you will have a delightful, detailed tour before a VIP tasting of their fabulous wines. Moving on just a few minutes drive down the road to Protos, this winery is set in one of the most important fortresses in the area; the Peñafiel Castle –, a landmark for the Castilla y León region and the venue of a Wine Museum. 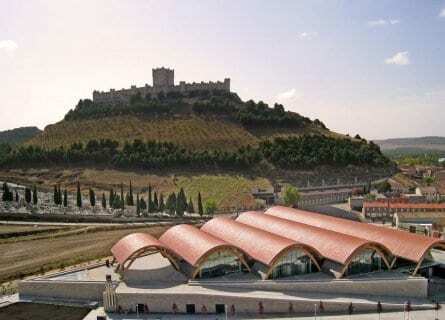 The contrasts here are amazing between the old winery that extends through the interior of the mountain beneath the castle and the striking new building designed by architect Richard Rogers. After this fascinating tour, you will, of course, enjoy a VIP tasting which will almost definitely include a Rueda from their sister winery there. By now you will be famished and just a 10 minute drive away your table will be waiting for you at the sumptuous Cepa 21 restaurant. Here Chef Alberto Soto prepares the most mouthwatering delicacies, based on traditional “Castilla” cuisine, with an imaginative touch that surprises even the most demanding palates. After your fabulous lunch, your chauffeur will take you to your sensational vineyard Spa hotel, check in and make the most of a free afternoon and evening in this wonderful venue. Before moving onto La Rioja, you have a superb morning planned to take in design wineries in Ribera. At 9:30 a.m. your chauffeur will collect you from your hotel and your first stop is at the prestigious Pago de Los Capellanes. The Rodero-Villa family have transformed this into an award-winning top reference in Ribera in just 15 years. Next stop; Portia – the only winery in the world designed by the famous and renowned British architect Sir Norman Foster. Truly an architectural icon in the world of wine, and not forgetting, of course, the utterly remarkable wines that you will enjoy in your personalized VIP tasting. Onwards just a short 45-minute drive to Burgos, where you will indulge in a divine lunch at Cabo Vintage in the heart of the city, just a stone’s throw from the beautiful Santa Maria Cathedral. Only recently gaining its first Michelin star Cabo Vintage create modern delights based on traditional flavors, such dishes may include “Airbag de sobrasada, crema de nata agria, sardina ahumada” (An airbag of Balearic cured sausage, sour cream and smoked sardine), “Pulpo braseado, jugo de cerdo cítrico, patata y melocotón” (Grilled octopus, with citrus pork jus, potato and peach) or “Rabo de Wagyu lacado, tuétano a la brasa y suero de leche” (Glazed Wagyu tail, barbecued bone marrow with milk whey). After a memorable lunch, your chauffeur will drive you to your next hotel, another astounding vineyard spa hotel. Check in, relax and make the most of the fantastic spa and facilities here. This morning you will have time to sleep in or make the most of some more spa time, as your chauffeur will pick you up at 11:30 a.m. and your first visit is at Baigorri, another amazingly designed winery, yet here architect Iñaki Aspiazu, has tailored the building to the unique winemaking approach at Baigorri, whilst blending the building with its surroundings. After sampling their wonderful wines, lunch will be served in the beautiful cellar. A sublime introduction to Rioja and Riojan cuisine, dishes may include Marinated leeks with white tuna, Traditional Riojan Bean Casserole washed down with the best of Baigorri wines of course. You will then drive on to Campo Viejo, situated in Logroño in the heart of Rioja, the winery is built on a plateau planted with vines and has panoramic views of the Ebro Valley and the Sierra de Cantabria mountains. A VIP welcome will await naturally, and after a tour of their gorgeous vineyards and winery, you will sample some of their best offerings. Then head back to your delightful Spa hotel to make the most of your last night there. This morning you will have the pleasure of visiting one more fabulous Riojan winery, before heading to the stunning coastal town of San Sebastian. Bodegas y Viñedos ARTADI was created in 1985 by an alliance of winegrowers, here the aim has always been to create top wines using the unique wine-growing values within the very special and specific region of Rioja Alavesa. As you will discover for yourself this has undoubtedly been achieved. 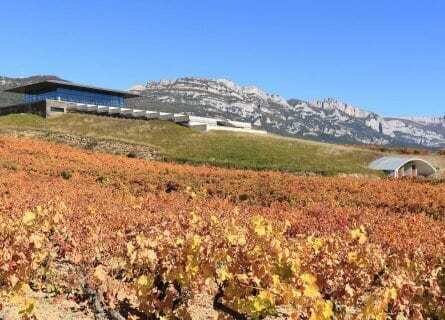 Artadi’s desire to produce the best with no restrictions even led them to leave the Consejo Regulador of the D.O.Ca Rioja. Allow the fabulous flavor of Artadi to linger as you sit back and relax for the two hour drive to San Sebastian, after a number of days inland you will be delighted to see the sea and what better a place to take in the dazzling view over the beautiful town, than from the Ulia mountain lookout restaurant; “El Mirador de Ulía”. Naturally, it’s not just the view that is to die for, your taste buds are in for a tantalizing treat as well! Some of the delicacies include “Ventresca de Atún” (Tuna belly with smoked herb curd) “Ravioli de Rabito” (Iberian pork tail ravioli, soy and vinegar foam with sesame crystal) “Pato Lacado” (Duck, cooked at low temperature, glazed apple, almond praline and sunflower seeds) all paired with spectacular wines from their terrific winery. After lunch visit San Sebastian itself, a digestive stroll through this pretty seaside town taking in the fascinating open-air sculptures dotted around by artists such as Eduardo Chilliado and Jorge Oteiza. Your chauffeur will then transfer you to nearby Bilbao, where you will check into your striking design hotel in the center of the city. Wake up to views overlooking the shimmering and undulating titanium waves of Frank Gehry’s masterpiece museum- the Guggenheim Bilbao. You will enjoy a free morning to see this exceptional contemporary museum on your own. See prime examples of Pop Art, Minimalism, Conceptual Art and Arte Povera. After free time to explore, your driver will take you to Pedro Subijana’s gastronomic temple of Akelarre where a vanguard tasting menu lunch awaits. Your table directly looks over the sparkling sea, and today’s lunch will be quite a memorable treat. With over 38 years experience of wowing diners, head chef Pedro Subijana rarely hits a wrong note with his incredibly refined, exquisite take on traditional Basque dishes and cuisine. Particular highlights include the Sauteed Fresh Foie Gras with Salt Flakes and Grain Pepper and the utterly irresistible Roasted Baby Pig with Tomato “Bolao” and Iberian Emulsion. Your chauffeur will then drive you back into Bilbao where you will have a free afternoon to make the most of the city, with our recommendations of course. This morning you will take a short 45-minute flight to Barcelona, and switch gears for the bustling and glamorous streets of Barcelona. Your local driver will be waiting for you at the airport and you will be chauffeured to your luxurious hotel, but before checking in you will have a wonderful welcome lunch at the renowned two Michelin starred restaurant at ABaC headed by Chef Jordi Cruz. Here temptations might include Foie gras taco with mole migas and sweet corn ice cream, Roasted, cured and dried suckling lamb meats with garlic compote, roasted aubergines, pine shoots and caramelized jus or Red tuna parpatana, stewed and fermented garlic with almond cream. After lunch with your own private driver and separate art guide, you will discover the highlights of Barcelona including the Picasso Museum, the Miró Museum, and Gaudi’s Parc Guell. 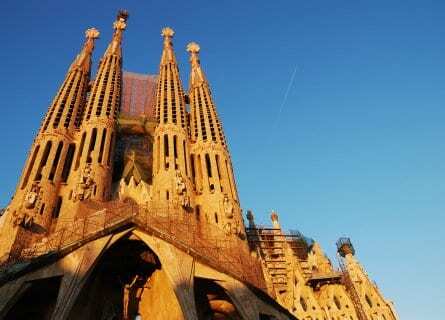 Begin with a visit to the pretty Picasso Museum, spread out over five Catalan Gothic palaces. While there are other museums dedicated solely to Picasso in Málaga and Paris, the Barcelona Picasso Museum has the biggest collection of works- almost 4000! Paintings and prints include his formative years, the Blue Period and his Las Meninas series. You will see the “best of” with your guide before carrying on to the Joan Miró Foundation in leafy Montjuic. Joan Miró was a surrealist painter and sculptor and joined many other Spanish artists in exile in Paris during the terrible Spanish civil war. Some of his colleagues included Man Ray, Max Ernst, Jackson Pollock. The foundation houses over 11,000 of his pieces from paintings to sculptures and textiles to ceramics and you will see the most significant masterpieces. Your guide will then take you to the whimsical Parc Guell, a park landscaped by Modernist master Antoni Gaudi from the year 1900-1914. 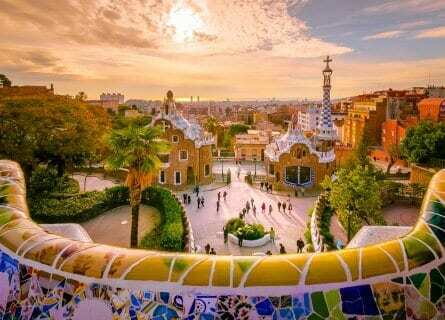 The park is enormous and offers various treats such as views over Barcelona, as well as some very photogenic mosaics. 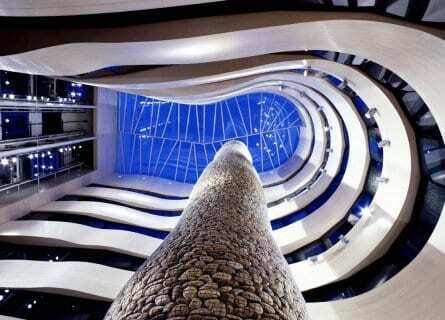 The evening is then yours to relax in your hotel or take in Barcelona’s sights by night. This morning your chauffeur will collect you at 9 a.m. for an hour’s drive to Penedes wine country, Spain’s only sparkling wine appellation. First stop, Agustí Torelló Mata is one of the most prestigious sparkling wine producers in Spain and has arguably created more prestige for the reputation of Cava, than any other winery in the Penedès region. Still family run, they produce a range of Cavas including dry and very dry and low dosage styles, focusing solely on growing the indigenous varieties of the area with impressive results. All their Cavas are excellent, but the star of the show is undoubtedly their cuvee prestige, Kripta. You will taste their full range of flagship wines on this VIP tour. You will then head back out towards the coast to another family-owned winery, Alta Alella, this time to a relatively recent project has been in the family for just over 20 years. It’s the closest cellar to Barcelona and its organic wines are on the menus of some of the best restaurants in the world. With spectacular views out to the glistening Mediterranean Sea, here you will have a personalized VIP tasting of their wines and Cavas. Back to Barcelona and lunch is next at Arola in the Hotel Arts. This Michelin starred dining experience allows you to savor imaginative interpretations of traditional Mediterranean cuisine, served tapas style. All perfectly paired with great local wines. This is a fantastic luxury, yet informal finale to your superb Spanish art, wine, and design tour. The rest of the day is yours for some last minute sightseeing or shopping. At your preferred time today, your private driver will transfer you to the airport for your outbound flight. This concludes an extraordinary art, wine and design tour of Spain!